An Everlasting Look for Your Home! 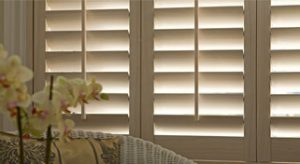 For looks that stand the test of time, it must be shutters. We’ve quality hardwood and water-resistant options in a range of finishes that can enhance your interior and add a luxurious feel to your living space. 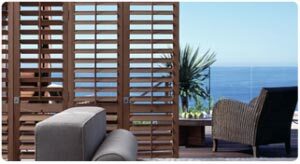 MDF is a strong and cost effective option. Made from engineered wood and polymer coated gives the MDF a wipe clean and maintenance free finish. Five shades of white and cream to choose from. Shaped windows are not available in this style. 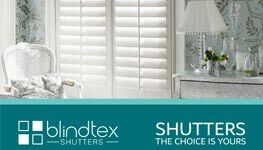 The ideal choice for most shutter installations.Phoenix is a hardwood with a rich textured grain that looks fantastic in a wide range of finishes. 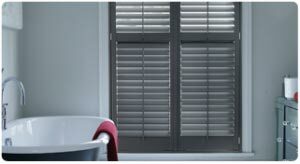 With simple clean lines these shutters are ideal for today’s modern living. 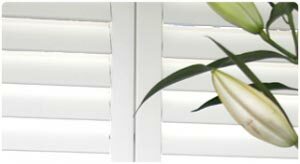 With 8 white colours and 17 stains and coloured finishes you will find the ideal choice for your home. This material is extremely hard wearing, making it ideal for commercial installations. 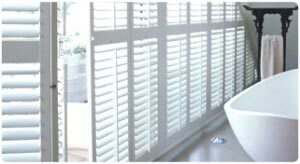 These shutters are manufactured using a hardwood core combined with an ABS plastic coating. This co-polymer coating is extremely tough and resilient and is the same material that is used in the manufacture of American football helmets.